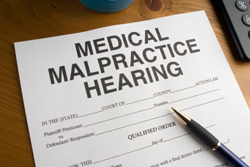 Settlement negotiations for medical malpractice lawsuits often occur late in the litigation process, when adversarial positions have become well-entrenched, and parties have little or no inclination to compromise. In an effort to improve the success rate of these settlement negotiations, some courts in New York State are now offering “judge-directed negotiations” for parties involved in medical malpractice lawsuits. Developed by Judge Douglas McKeon of the Bronx County Supreme Court, judge-directed negotiations have proven to be highly successful in increasing settlement rates and reducing malpractice costs. Read the full Negotiation newsletter article here. To subscribe to our monthly Negotiation newsletter, visit our publications page.